If you are looking for information on the The Woodhouse Day Spa franchise business opportunity, The Woodhouse Day Spa franchises or The Woodhouse Day Spa franchising, then you have come to the right place. The demand for the spa experience is stronger than ever due to the aging boomer population. The $13 billion spa industry is growing at a healthy rate of 17% per year. Even in tough times, consumers are seeking stress-relief and finding it at The Woodhouse Day Spas. The Woodhouse Day Spa has a national brand presence, having appeared on Fox Business News and in various national publications, including Entrepreneur Magazine, Day Spa Magazine, Dermascope and New Beauty. The Woodhouse has also been featured internationally in Harper's Bazaar-Russia. In addition to national marketing, The Woodhouse assists franchisees with marketing in their local regions. These programs can be as specific as holiday planners or as general as designing a full advertising campaign for a franchisee's local market. The Woodhouse leverages technology to support franchisees and to assist with generating additional revenues. Revolutionary online gift card allows guests to order a gift card right from their home or office computer. They can even choose a specific design, such as, "Thank You", "Happy Birthday", "Congratulations", etc. and email it directly to the recipient. All Woodhouse Day Spa franchisees are supported by a team of experienced and dedicated professionals who will be by your side from the moment you sign your franchise agreement to the day your spa opens and beyond. This Home Office Team is constantly researching the newest and most innovative products, treatments, technology and systems to stay on the cutting edge. They are extremely accessible to all the franchisees and are dedicated to making sure that all questions or issues are answered and resolved. 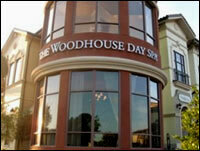 Support Systems are in place every step of the way to help you successfully build your Woodhouse Day Spa. Their support systems make it easier than ever to begin operating your Woodhouse. Spa Startup Coordinator guides you through the setup process. 2-day initial training on business plan development, site selection, start-up marketing, design, accounting, and elements of The Woodhouse Experience. The Woodhouse helps you select a location through in-depth evaluation and selection criteria. Their design team completes your floor plans, communicates with your contractor, and places all orders for furniture, fixtures, and equipment. 8-day training and 1-week internship on management, marketing, accounting, pos system, customer service, treatment and product knowledge, and much more. Their Setup Team visits your spa prior to opening to assist during setup. Their Training Team educates your staff on everything they need to deliver The Woodhouse Experience. Business Advisors will perform weekly action calls, providing financial and operational guidance, benchmarking, and any support needed to ensure your success. 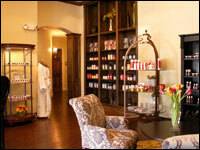 "The Woodhouse Spas Corp is a beautiful group of individuals, who care about people and making people's lives different. We are proud to be a part of this wonderful organization." 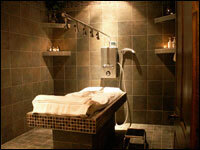 "Our experience with The Woodhouse Spas Corp. has been wonderful. We have been involved in two other franchise systems, and they do not compare with The Woodhouse. We have been so impressed with not only the knowledge and organization of the Company, but more importantly, the integrity of the people involved. We are truly happy to be a part of The Woodhouse Family."